The Cafe in the Park. Humphry’s is primarily a community hub and toilets, with a café concession operating within it. It is located in the Highams Park Keepers Lodge near the Tamworth Avenue entrance to Highams Park (near the lake). Humphry’s was opened on Thursday 26rd April 2018 at 11am by Gordon Turpin, Chairman of the Highams Park Planning Group, in front of a large number of local people. The project was initiated by a group of local people (known as The Highams Park Planning Group) had a vision to open a café, community hub and toilets, in the park adjacent to Highams Park lake. A public consultation in 2015 showed overwhelming support for the project. They leased the disused building from the Council and set about refurbishing it. Humphry’s is named after the famous 18th Century landscape designer, Humphry Repton, who created Highams Park lake within the grounds of the then Highams House (now Woodford County High School For Girls). It is intended that Humphry’s is open 7 days a week. The community hub will he open from 7am to 9pm. 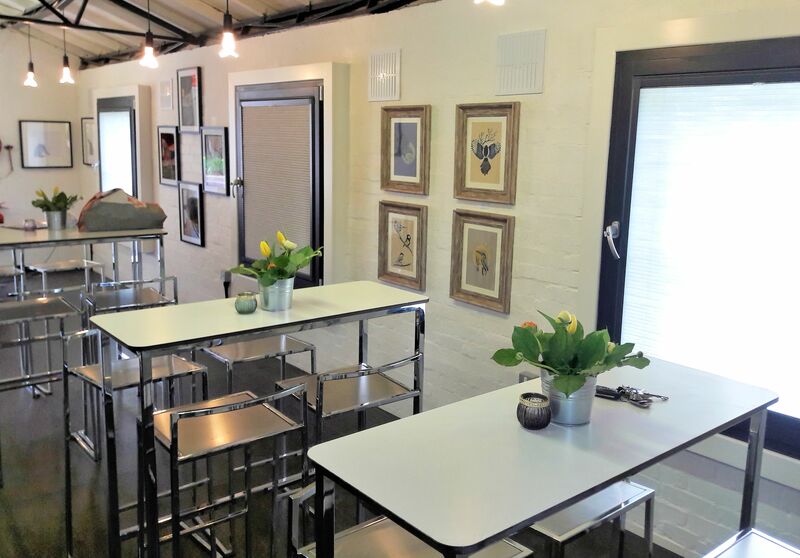 The café concession will be operated by local resident, Toni Hanshaw, will be open between the hours of 8am to 6pm for serving light meals and snacks, along with hot and soft drinks. The internal decor has been described as “industrial chic”. They have tried to maintain some of the original heritage features of the building. The café is an art space too. When it opened there will be a beautiful exhibition of wildlife art for sale by local artist Bea Taylor and an exhibition of macro photography by Simon Taylor. A large number of local people and businesses have donated a lot of time and materials to the refurbishment of the building. The time and materials given by the businesses and volunteers is estimated to be between £90,000 and £140,000. A staggering figure for which we must thank all those involved and the Highams Park Planning Group for masterminding this. Why not enjoy the park and lake and a visit to Humphry’s. After all the temperatures are rising and summer is nearly upon us.